Romans 5:1-8 1Therefore, having been justified by faith, we have peace with God through our Lord Jesus Christ, 2through whom also we have access by faith into this grace in which we stand, and rejoice in hope of the glory of God. 3And not only that, but we also glory in tribulations, knowing that tribulation produces perseverance; 4and perseverance, character; and character, hope. 5Now hope does not disappoint, because the love of God has been poured out in our hearts by the Holy Spirit who was given to us. Overall Background: The passage we just read is the heart of the Book of Romans. Here Paul explains the benefits of being saved. 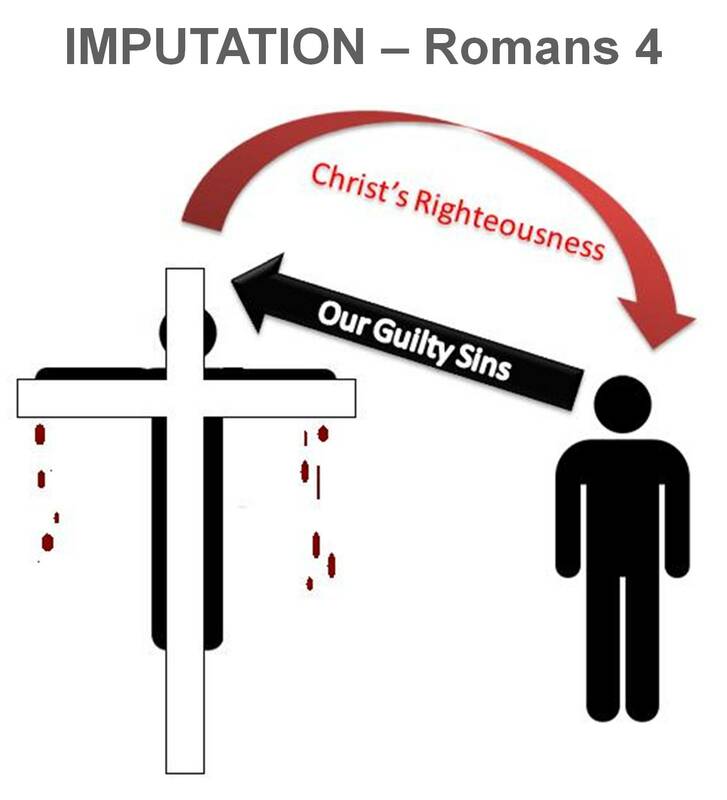 Listen again to chapter 5 and verse one– “Therefore, having been justified by faith…” What is “justification by faith?” If you remember last week—when I place my faith in Jesus, when I receive His sacrifice on the cross for my sins, when I accept His gift of Salvation, at that instant God makes a transaction—it’s called Imputation. Read Romans 4. He takes my sins and puts them on Christ’s account and He takes Christ’s righteousness and puts it on my account. At that very instant, He declares me “righteous.” I am “justified.” Meaning: Now when God sees me, He sees Christ. Some people say—that’s wonderful. My sins are forgiven. My name is written in Heaven. I am bound for the Promised Land. All that is in our future and it is wonderful. Paul says No! Your justification by faith is not just a future promise. It is a present reality. You don’t have to wait to get to heaven to activate it. It starts here and now. For e.g. Growing up I remember when my dad would come home from a preaching tour and we would go to get him at the railway station. We knew he had something for us in his luggage. We knew it would take 15-20 minutes to get through the lines and then 10 minutes to get home and then 15 minutes before he could unpack. Dad knew that the anticipation was too much. So he would keep the toy in his carry-on. Oh, we didn’t have to wait! Application: This morning, many Christians think that the benefits of being saved are all when you get to heaven. In this life, you have to do the best you can to get by; in this life, you are no different than the lost people; in this life, the gospel has zero value. This morning, God wants to open your eyes to let you see that you don’t have to wait till you get home to open your presents. It begins in the here and now. If you are lost, listen very carefully because the gospel has the power, not just to take you to heaven, but to bring heaven to you right now. I. WE HAVE PEACE WITH GOD. Because of what Christ did on the cross, now we can have peace with God. By the way—that peace is very important. Our relationship with God is the first and most important relationship in life. If that relationship is broken, every relationship will suffer. For e.g. Like in marriage—If Nicole and I are at odds with each other, my whole day is ruined. Right men? If you are bitter toward your wife, it will eat like a cancer in your own life and heart. That’s why, if you had a squabble with your wife, you cannot do your work properly that day. This works with regard to the wife toward the husband as well. Our relationship with God is even more fundamental than our relationship with our spouse or parents or children. When that relationship is broken, every other relationship will also suffer. That is the cause of conflicts in this world. Because human beings are not at peace with God, they cannot be at peace with each other. Application: This morning your relationships are in a mess. There’s always some conflict somewhere. What you need first is “peace with God.” Unless you have that peace, every relationship in your life will be a mess. Background: Making peace with God is not just that God and I are no longer fighting but, now, by faith, I am allowed to come and stand in grace. What is grace? It is God’s unconditional acceptance of me.Before I was standing in condemnation but now I am standing in grace; before I was standing in my good works but now I am standing in grace. “and rejoice in hope of the glory of God.” Meaning: Not only that I am standing in grace but I am looking forward to more to come. God is going to share His glory with me. 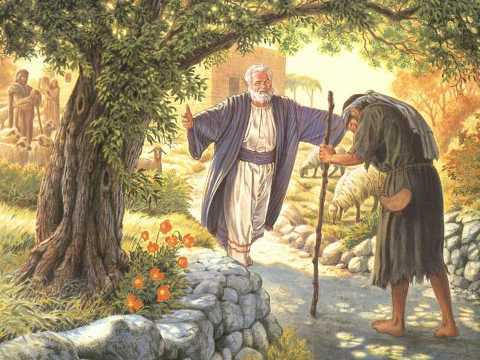 I think about the Prodigal Son. He took the share of his goods and went away to a far country and wasted his possessions. He lost it all and, to make matters worse, there was a famine in the land. It was so bad that he had to eat the pods that the pigs ate. When he came to himself, he said, I am going home to my father and I will tell him that I have sinned against heaven and before him. I am not worthy to be called your son. Make me like a hired servant. The Bible says that when he was still far off, his father saw him and had compassion and ran and fell on his neck and kissed him. As the son was begging forgiveness, he brought him in and told the servants to put a new robe on him and ring on his hand and sandals on his feet and threw a great feast. That is grace! Application: When you and I understand that we are standing in that grace, it will change the way you see life. We are so precious to Him that one day we will even share in His glory. How wonderful is that! One reason why people suffer from depression and doubts and anxieties, it’s because they have yet to see themselves the way God sees them. What happens when you understand that you are standing in grace? You also change the way you see other people. You start seeing them through the eyes of grace. III. WE THANK GOD FOR TRIALS. Background: Just because you are saved does not mean that you are exempt from trials. Trials are part of life for every human being—saved and unsaved. Job says in 14:1 “Man who is born of woman is of few days and full of trouble. Trials are not a matter of chance; they are a matter of time. Application: How do people respond when trials come in their life? Some people are stunned that this has happened to them. Some people get angry, bitter, envious, cynical, etc. Some people look for someone to blame. Some people even get angry with God for not saving them from their trials. Meaning: That does not mean that Paul is saying that I am going to thank God in the midst of trials; That does not mean that Paul is saying that I am going to thank God in spite of my trials; he is saying that I thank God for my trials. Why is he thanking God for his trials? knowing that tribulation produces perseverance; 4and perseverance, character; and character, hope. 1st. Trials produce Perseverance. Each time you go through a trial and you hang in there, your endurance gets stronger and stronger. Many people run at the first sign of trouble—“I can’t take this.” “Someone else needs to handle this one.” But if you hang in there long enough, you will get through it. But perseverance is not the desired outcome. There are lots of people in this world who have patience. 2nd. Perseverance produces Character. That word “character” is hard to define. It literally means “a tested life.” Don’t misunderstand that. Some people think that trials are God’s way of testing me and exposing all the bad that is in me. To some extent that is true. God will put you through the fire to refine you and bring all the dross to the surface and remove it but that is just one side of trials. The other side is where God is producing the character of Jesus Christ in you. Every time you come against a disappointing issue, it gives God the opportunity to remind you how much He loves you. The common problems that people suffer with are – broken relationships, poor self-worth, and disappointments. These bring depression, doubts, and anxieties. Justification by faith is God’s answer to each of these problems. Have you received this gift of God?